First, you mix together the wet ingredients. Then you add the dry ingredients. 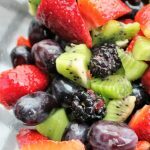 As many of you know, I like simple recipes without a lot of bowls. You don’t need to use a separate bowl to mix the dry ingredients first. Simply add the dry ingredients to the wet ingredients and stir well. 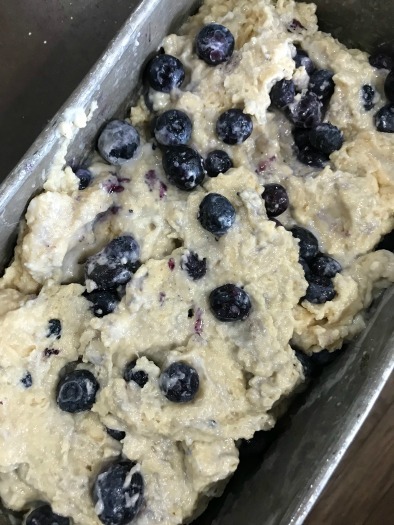 Next, fold in the blueberries and place mixture in a greased loaf pan. Next, mix together the streusel ingredients. Then sprinkle on top of the dough in the loaf pan. 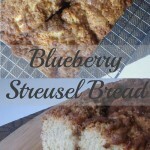 Can I add more streusel to the top of the bread? Um, Yeah! 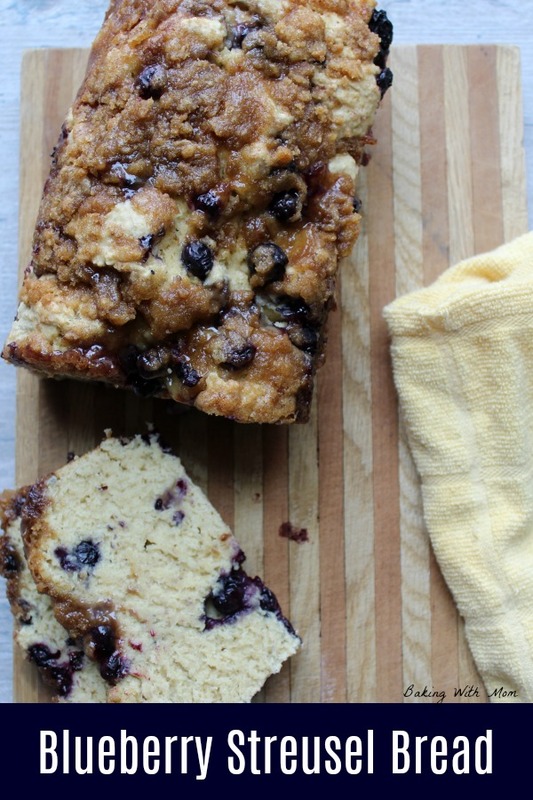 The more streusel, the better, right? My children would certainly think so. The streusel is made up of cinnamon, butter, brown sugar and flour. You could use oatmeal instead of flour if you choose. 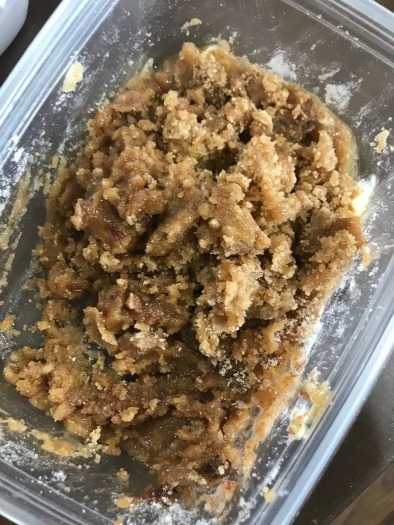 I personally like the flour in this streusel recipe. 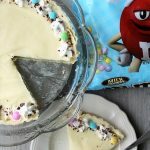 Bake, remove from pan and enjoy! I recommend turning the bread out of the pan about 10 minutes after removing from the oven. Use a knife to loosen the bread from the sides. Easy bread, enjoyed by the family! 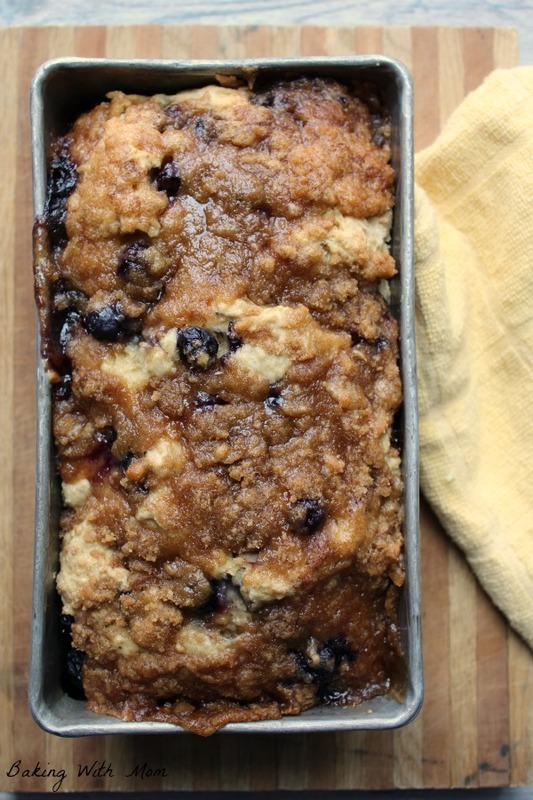 Blueberry Streusel Bread with cinnamon and brown sugar. Delicious bread for snack or breakfast. Loaded with delicious blueberries. Add milk, oil and vanilla. Mix well. Stir in the flour, salt, baking powder. Fold in the blueberries. Spread in two greased loaf pans. Set aside. Sprinkle over the blueberry batter. Bake in a 350* oven for 60 minutes or until toothpick inserted into the center comes out clean. *This post and pictures was updated on 4/15/19. This bread is delicious mines wasn’t as moist as I would like but still very good. I did use whole wheat flour instead of all purpose, coconut oil & almond milk. 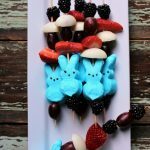 Can you use frozen blueberries instead of fresh? I made this bread in two loaf pans and it took 45 minutes to bake. I thought it wasn’t as moist as I would have liked it to be. I put more berries in the batter. I don’t think I will make it again. Well, I’m glad you tried it! I have always had this bread be extremely moist for us. I wonderful if you baked it a little longer? Maybe we could troubleshoot it–just let me know! How long do you let them cool in the tins? I let them cool for about 10 minutes before I use a knife to loosen the edges and then turn it out of the pan and place on cooling rack. I hope it works for you!! I made this today using chia seeds & water in place of the egg (only b/c I’m out of eggs) and it turned out great. Very delicious! I made 2 loaves and they were the perfect size. Thank you! I am so glad it worked out for you. It is delicious bread!! This tasted great-no complaints there! I believe the spill over issue can be resolved by reducing the amount of baking power to 1 tsp. Bon appetite! Should of made two loafs. Lol. Huge hit in my house. Making more today! 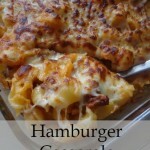 Trying your pizza casserole tonight. Yum! 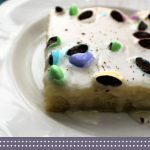 I am so sorry about the misprint in the recipe! There isn’t any butter in the bread batter. My mind must have been on the streusel topping. 😉 Mix the egg and sugar together. Thank you for pointing this out to me! No worries, I went to make it last night and was caught short so I debated on whether or not to push on and see how it turned out. I decided not to do that as blueberries are not cheap, But tonight we are making two loaves.